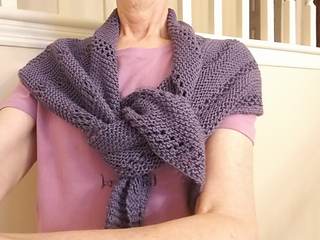 I created this shawl when I was going on vacation and needed a simple shawl to knit while my husband was driving. Once you complete a repeat or two, you will see that you no longer need the pattern or a row counter and it can be easily knit anywhere. 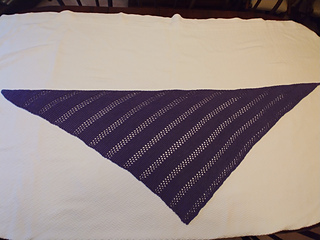 This is a triangular shawl knit sideways in garter stitch with some easy lace sections throughout. 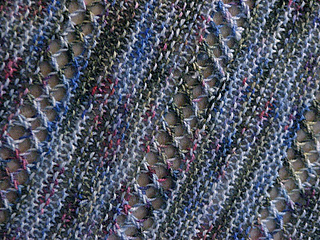 It uses 2 skeins of Berroco Fiora Yarn (DK weight). 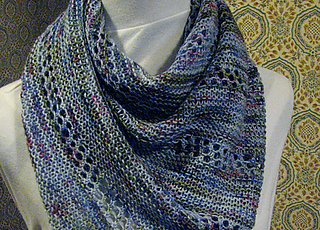 I used US size 6 needles, but if you are a tight knitter, I suggest using larger needles. 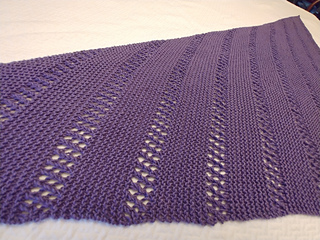 Gauge is not critical for this project and I suggest using a needle size that gives the shawl a nice drape. 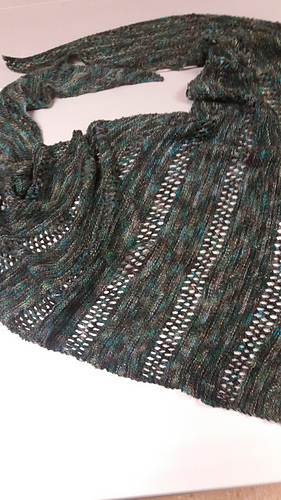 Since the project is mostly garter stitch, it may not need much blocking. 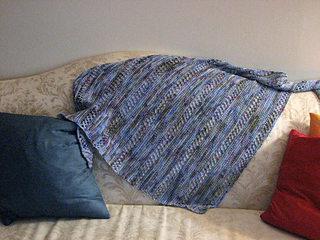 The finished size is approximately 63 inches from end to end and 22 inches deep at the widest point.